Yakeen has shortened from 250-1 into 16-1 for R4.25-million race. The curtain has come down on the qualifying competition and now it is in the hands of the handicappers and Gold Circle as to who will make up the final field for the R4.25-million Vodacom Durban July over 2200m at Greyville on Saturday 7 July. The sands did shift a little at the weekend with a brilliant performance from African Night Sky in the Grade 3 Cup Trial, a win for Yakeen in the Grade 3 Jubilee Handicap and a decent effort from Abashiri in a Pinnacle Stakes over 1400m at Turffontein. African Night Sky, winner of all three legs of the Winter Series at Kenilworth last season, had already shortened into 7-2 after flying up late to run a head second behind stable companion Star Express in a Pinnacle Stakes over 1600m at Greyville. The victory on Saturday has seen his odds reduced even further and the Justin Snaith trained runner is now trading at 18-10 for the Durban July. However, his victory, albeit by just 0.75 lengths over Crowd Pleaser, has resulted in a 2kg penalty for the son of Dynasty. Coral Fever, who has a merit rating of 118, is likely to carry top weight of 60kg which means Africa Night Sky is likely to get 57kg. Meanwhile, Abashiri made his appearance at Turffontein on Sunday in a Pinnacle Stakes over 1400m and received positive comments from both trainer Mike Azzie and jockey Piere Strydom. The 2016 SA Triple Crown winner was placed third last over a distance short of his best and ran on strongly to finish fifth. Strydom was merely showing him the whip in the closing stages. “He ran on strongly and did exactly what we wanted him to do,” said Azzie. Strydom was also happy with the run but felt the horse has little gate speed and a wider draw might be in his favour. 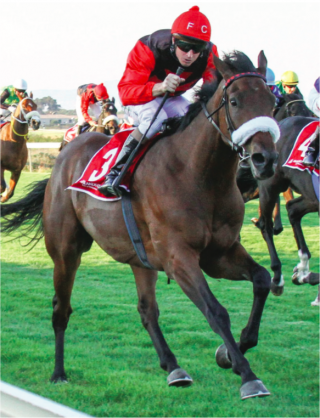 When he rode both Pomodoro and The Conglomerate to victory in the Durban July, he did so from the widest draw and he might not be too upset starting from the outside this year. Abashiri is currently rated 115 and that means he is likely to carry 58.5kg, 1kg less than he did as a three-year-old two years ago. A few weeks back Yakeen was easy to back at 250-1 for the Durban July but has shortened into to 66-1 with the news that a win in the Jubilee Handicap over 1800m at Turffontein on Sunday would get him into the Grade 1 race. Ridden to a narrow victory by Muzi Yeni over Tilbury Fort, Mike de Kock’s runner is now on offer at 16-1. Like African Night Sky, he got a penalty of 2kg for his win and the predictions are that he will come into the race carrying around 52.5kg. The problem is to find a jockey as Yeni is committed to ride Coral Fever. The official weights will be announced on Tuesday 19 June. Latest betting on the R4.25- million Vodacom Durban July (Grade 1) over 2200m at Grey- ville Racecourse on Saturday 7 July.